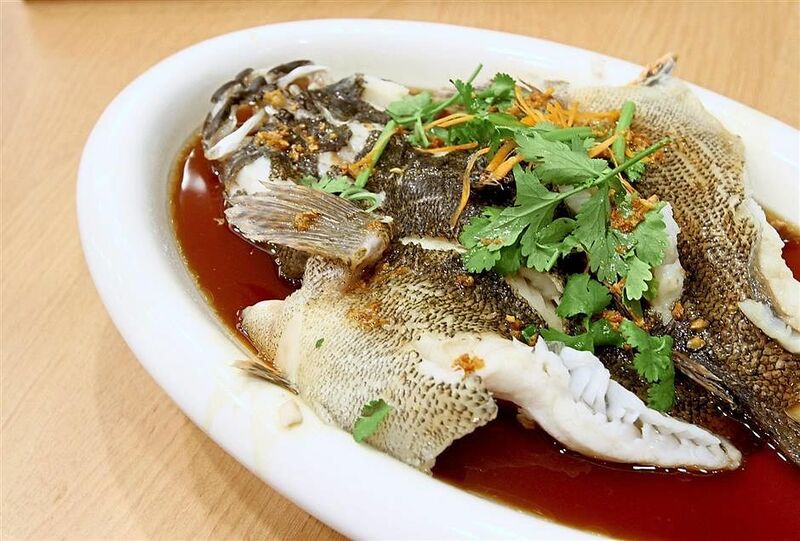 (THE STAR/ASIA NEWS NETWORK) - Diners in search of a freshwater fish meal – done simply and well, with the freshness and firm, sweet flesh of the fish placed solidly front and centre – have been making the trek to Loong Kee restaurant in Gohtong Jaya for a good 42 years now. Certainly, it is a popular stop on the way up or down from the pleasure dome of Genting Highlands. Its specialities have seen the original restaurant grow in reputation, across multiple shoplots and now, the Fenix has risen, with Loong Kee’s first Klang Valley outpost in KL Gateway Mall, just off the Federal Highway. The man in charge here is Ben Chan, the son of Loong Kee’s founders, Chan Ah See and Wong Mok Yin. Fenix’s menu is exactly the same as Loong Kee’s, with a two-pronged focus on freshwater fish and on vegetables from Bukit Tinggi, most of them from the Chans’ own farm; the only difference is that Fenix has set meals, in a nod to its location in a mall. 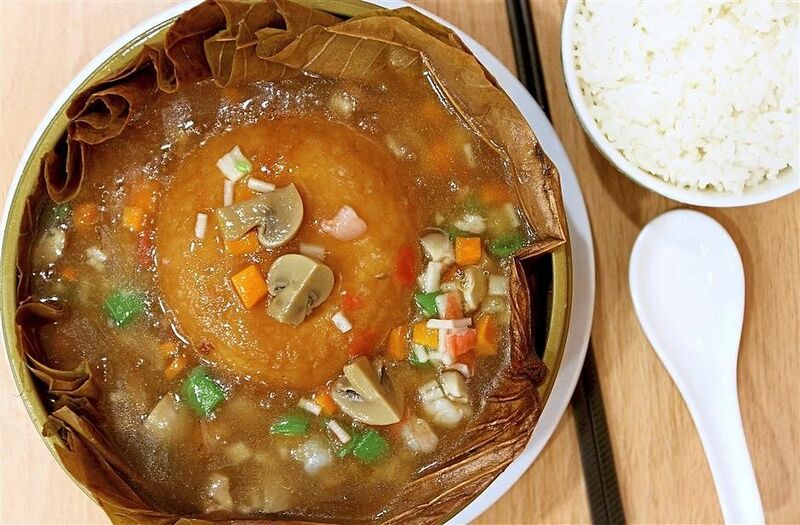 Chicken, pork, seafood and bean curd dishes are also on offer, with noodle dishes and double-boiled Chinese soups. 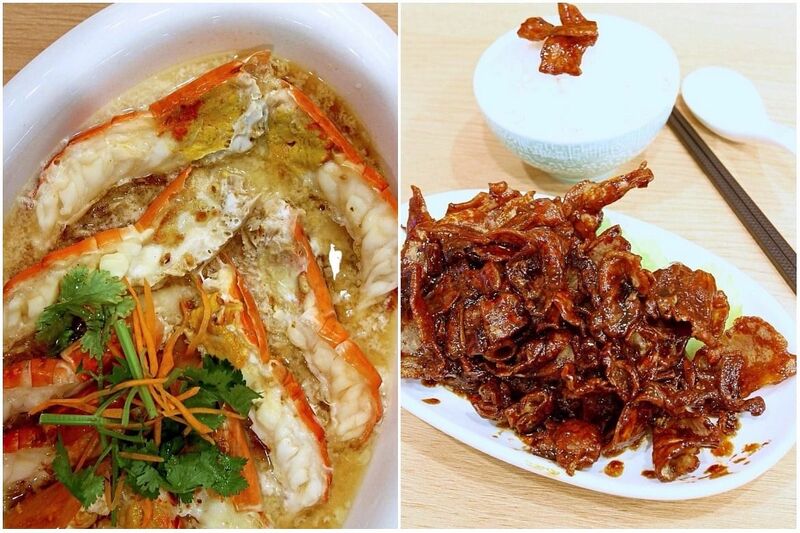 With the restaurants’ focus on the bounty of land and river, menus from both are showcases of Pahang terroir (and beyond) and Ben Chan can talk to you effortlessly about the provenance of Fenix’s food – Bentong ginger features prominently in some of the dishes, the clams are from Teluk Intan, Perak, and the rich yellow rice wine is sourced from a home brewer off the Karak Highway. The wild-caught fish are snared in Sungai Pahang. “The water is clean and the river, narrow, making it faster-flowing,” said Chan. This swift flow of water makes the fish swim harder, thus affecting their muscle structure so that they are firmer, and often increasing the pigments that store oxygen and improve the fish’s flavour. The clean water ensures a better supply of food for the fish – and you know, the whole “you are what you eat” thing also applies to your produce. 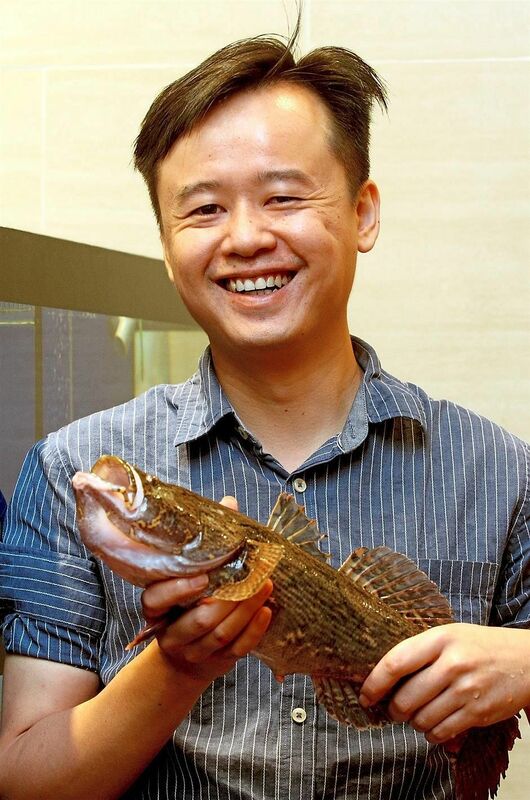 While the soon hock or marble goby (RM18.80, or S$6, per 100g) is always wild-caught, patin (RM9 per 100g) can be either fished or farmed. On the a la carte menu, there is also jade perch (RM8.50 per 100g), catfish (RM5.50 per 100g), tilapia (RM4.50 per 100g) and grass carp (RM5.50 per 100g). Seasonal fish are also available (call to find out what is on offer), including jelawat, wild patin buah, white catfish and lim yue, or giant catfish, as well as tinggalan, kerai and kelah merah (red mahseer). Each can be steamed simply with soya sauce or with the famed, extra-fragrant Bentong ginger, or cooked claypot-style. Some can be steamed in the spicier Nonya style, or deep-fried – the recommended serving style differs according to the fish. We had the celebrated soon hock; the approximately 1kg fish was ample to feed a table of 10, with other dishes and rice. Firm flesh, as promised, yet with a fragility to it as it fell easily, cleanly from the large central bones. Flavour-wise, the fish had a clean, almost creamy, presence in the mouth. The freshwater prawns (RM16 per 100g) are also deservedly famous. You can have them done two ways, simply steamed with egg white, ginger and Chinese rice wine, or with Vietnamese sauce. The former is a great way to enjoy the springy, naturally sweet crustaceans and really allows their natural flavour to shine – it is a true testament to a skilled kitchen staff. The crispy fried belly pork (RM22 for the small, RM38 for the large) is a dish you may well need to make a repeat order of. The thinly sliced pork had a crisp-sticky-chewy appeal, and the coating of dark sauce was well-balanced, not overly sweet. 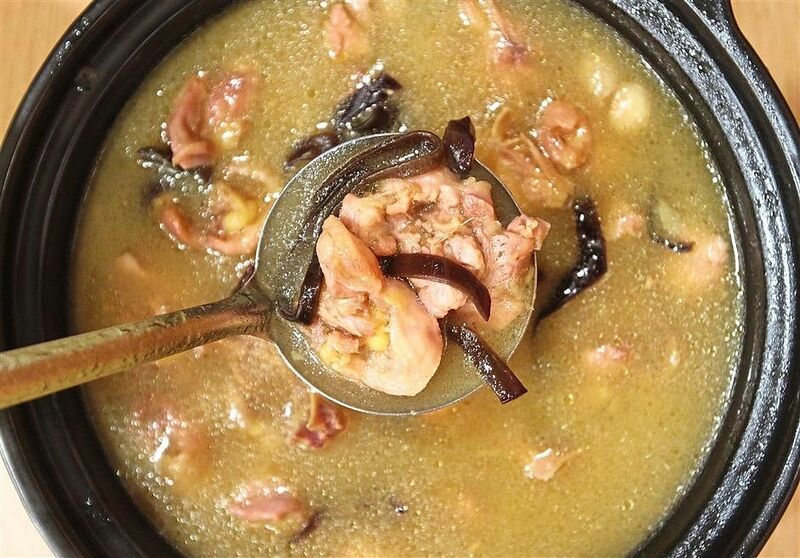 A claypot of chicken stewed in yellow rice wine (RM38) is another of those deceptively simple dishes – the ones whose success relies on good quality ingredients (free range chicken from Raub) and confident, experienced cooking. The yellow rice wine is exceptionally sweet, rich and smooth. In the hills of Bukit Tinggi lies the origin story of the famed Bentong ginger. “It’s very juicy, comparatively more fragrant and less fibrous than other gingers,” said Chan. Bukit Tinggi’s ample rainfall, rich soil and cool climate make it a great farming location. The Chan family farm grows the famous ginger in a three-year crop rotation cycle so the land can replenish its nutrients – in between ginger crops, they grow a plethora of vegetables. So as you can imagine, both vegetables and ginger feature prominently on the menu. Here, the watercress is tender enough to be stir-fried, instead of being boiled in soup. Also very likeable: the garlicky eggplant with very crisp fried shrimp (both RM15 for a small plate, RM22 for the large). The freshness and variety of vegetables are very appealing, as is the fact that they are not treated like mere sides. Apart from the fragrant Bentong ginger tea, the passion fruit juice (RM8.90) is another house speciality and both match very well with the seafood offerings. Much of the passion fruit is also from the family farm and the drink is beautifully fragrant, with the distinctive flavour of the fruit and a tangy-salty edge from the addition of asam boi, which lends depth. Fenix is a shining heir apparent, making Loong Kee’s legacy available to a whole new generation. It is a bastion of excellent produce prepared by eminently capable hands, underscored by a respect for and knowledge of provenance.